"A fun and colorful shoot 'em up!" 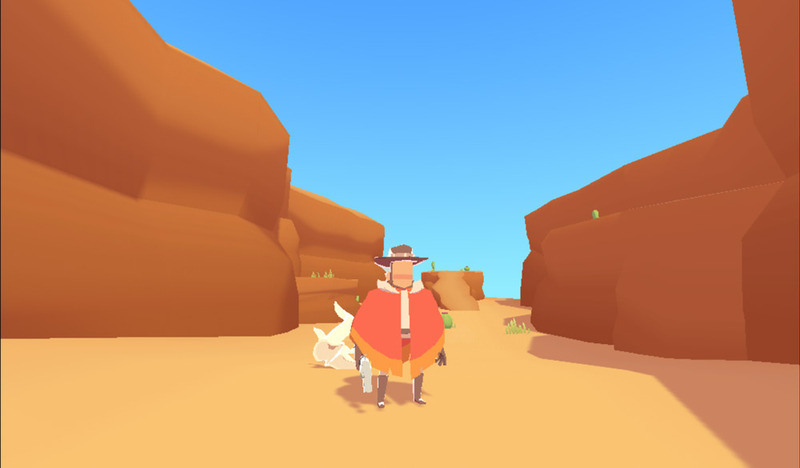 Through the Valley of the Drifters is a short yet fun and colorful game made for one of the game jams. 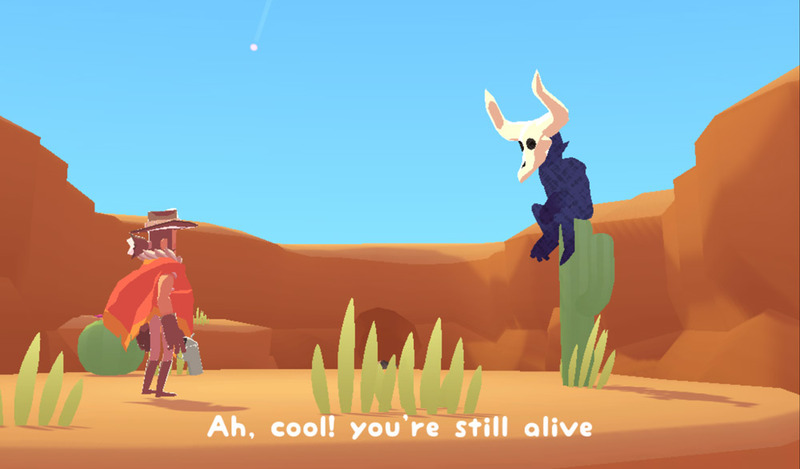 Developed by perhaps the developer with the best name ever in Lovely Rev! 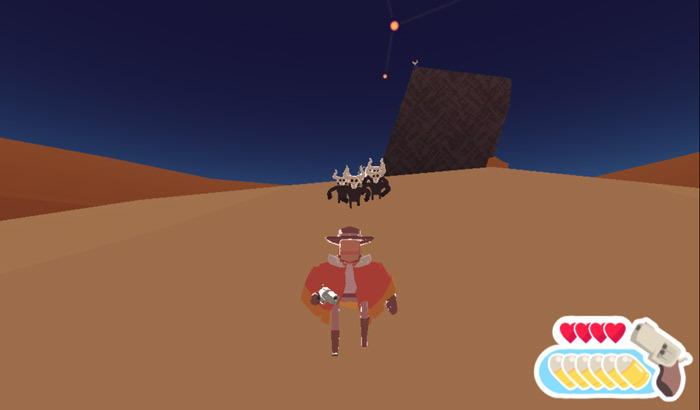 The game has you playing as a cowboy who has to make his way back home through the desert shooting everything in his way which is mostly skeletons that if they get too close to you will jump on top of you and drain your lives, but having unlimited ammunition in your revolver is quite helpful however the game from start to finish can be completed in about two minutes and it would have been great to have a bit more of it although it probably would get quite repetitive quite quickly but as it’s a mindless shooter with really fun graphics and a nice splash of comedy it’s a shame not to have just a few more enemies or challenges before you reach completion of the game. Through the Valley of the Drifters will help you pass a few minutes and also lets you be a cowboy it is definitely worth downloading if you want a bit of shooty fun! You can download Through the Valley of the Drifters free here.